Owairaka Athletics turns 75 this year. 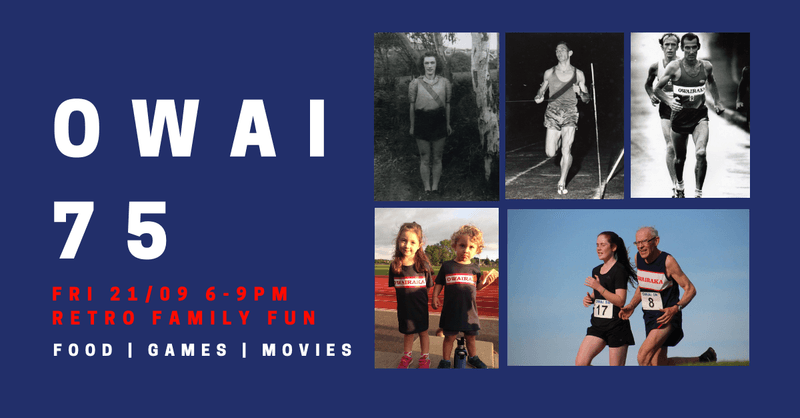 We have activities planned all weekend to mark the occasion, kicking off with a Retro Family Fun Night celebrating 75 years of good times at Owai. Celebrate with clubmates over a meal, a movie and some retro games. Bring the kids and get them inspired for the season ahead (summer athletics kicks off Wednesday 17 October). $15/$40 for a family of 4. Let us know you're coming to reserve your ticket - email club@owaiathletics.co.nz or message us on Facebook. Part of the 75th anniversary celebrations at Owairaka Athletics.